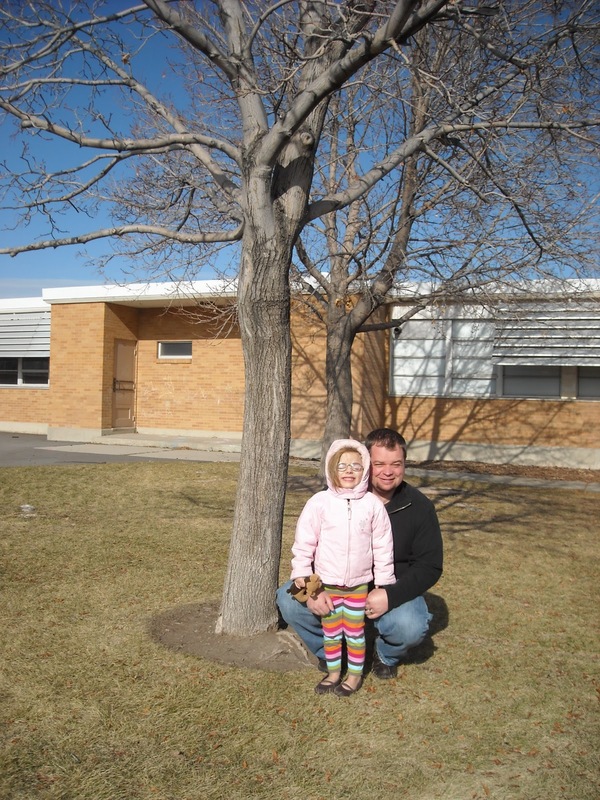 I attended kindergarten 28 years ago at West Kearns Elementary. When I went to school there, my teacher Mrs. Hen took me and my classmates outside the kindergarten classroom to where they had just planted some trees. She told us that someday we would come back to the school with our own children and we would see the trees all grown up. I remember thinking that it seemed like that would be impossible, that it was so long. But now it has happened! I cam back to the school recently with my daughter, as you can see in the picture. I believe those are the trees that were planted when I was in kindergarten. I have done a lot of interesting things since then. I have lived in 4 different states, have traveled to over 30 of the states, have lived in Guatemala, have earned 4 college degrees, have gotten married and I now have a beautiful little girl of my own. I now teach at a university in Ohio. So, I hope you are thinking about the fun things you want to do in life and that you can start doing them soon. And listen to your teachers- they know a lot and can help you learn and live a happy life. Thanks for your indulgence, Principal. If it seems out of place to send this on to your kindergarten teachers, I totally understand. All the best to you, your teachers, and your students.